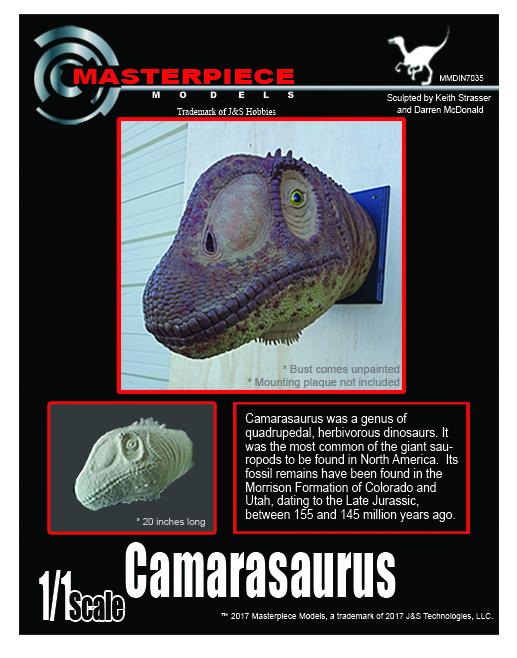 Camarasaurus Dinosaur Bust – The Camarasaurus is among the most common and frequently well-preserved sauropod dinosaurs. The maximum size of the most common species, C. lentus, was about 15 meters (49 ft) in length. The largest species, C. supremus, reached a maximum length of 23 meters (75 ft) and maximum estimated weight of 50 tons.